SOUTHINGTON - A local man is facing charges after police say he left two children in a car on a hot day. Police said Wednesday that Karl Luberda, 38, left a 4-year-old and an 18-month-old in a vehicle that was not running, with its windows up last Wednesday, at about 2:20 p.m., when it was 84 degrees. The doors were locked. 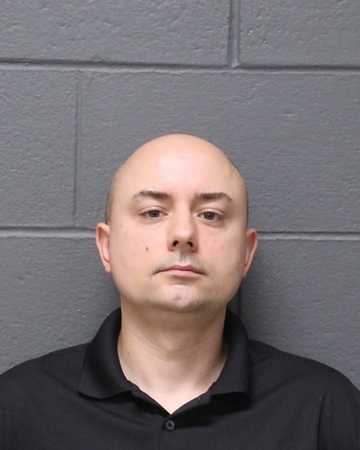 The girls were allegedly left for about 20 minutes while Luberda, a real estate agent, was showing a home in the Spring Lake Village complex. Luberda faces two counts of risk of injury to a minor and two counts of leaving a child under 12 unsupervised. He is free on $5,000 bond and is scheduled to appear in Bristol Superior Court on Sept. 4. Posted in New Britain Herald, Southington Herald on Wednesday, 29 August 2018 16:16. Updated: Wednesday, 29 August 2018 16:19.